A strong maintenance routine is the key to the longevity and durability of your floors. Staying active with a daily maintenance routine is the first line of defense, but daily cleaning alone will not protect your floor's finish forever. A floor's finish will go through normal wear and tear over the years and will need attention. Reviving, restoring and refinishing your floors are great ways to increase the longevity of your floors and protect your investment. Each method is an effective way to go beyond regular cleaning. Hand-picked and fully trained on the Bona System™ the Bona Certified Craftsman have been instilled with the knowledge to protect and bring out the beauty in hardwood floors. Revive, Restore or Refinish™ your hardwood floors using a Bona Certified Craftsman. Process: An initial dry mopping is done to remove major debris and particles. Then, a deep cleaning machine is used to get into the small areas that dusting can't. Time: Floors will be ready in a few hours. Purpose: Replaces the finish of your floor, the main layer of protection. Process: Floor is deep cleaned, rinsed and prepped. A new coat of finish is then applied. Time: Floors will be ready overnight. Process: Completely renovate your floors. Process: Floor is sanded down to the bare wood. A sealer or stain is applied, as well as a new finish. Time: Floors will be ready in 2-4 days. As long as you are keeping up with the regular maintenance of your floors, they will last a lifetime. Hardwood floor care procedures like reviving, restoring or refinishing your floors can be handled easily with a professional contractor. 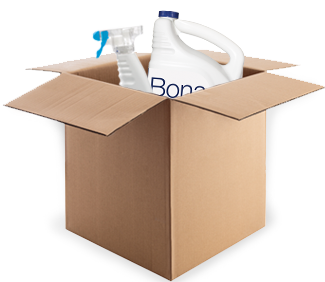 Our Bona Certified Craftsman are the best of the best and exclusively use the Bona cleaning systems that you trust and love. Locate a contractor today and rest easy knowing that your next hardwood floor project is in good hands.